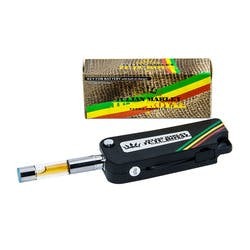 Forged from passion and love for the herb comes Julian Marley’s JuJu Royal ultra premium cannabis. Each aspect of the JuJu Royal identity is shaped by their team’s genuine appreciation for marijuana. Giving back is a large part of Rasta culture, which is why 1% of JuJu Royal’s proceeds are distributed to the Weed For Warriors Project. 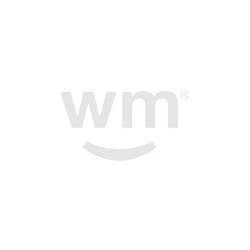 WFW was established restore veterans’ mental and physical well being through medical marijuana. JuJu Royal develops premium cannabis products for people in all walks of life, offering products that address pain and deliver euphoria. Julian Marley devoted his career to spreading his family’s message of marijuana legalization, freedom, and love. Following in his father Bob Marley's footsteps, Julian and his brothers, Ziggy and Stephen, learned to play instruments early and immersed themselves in the music culture their father used as a platform for marijuana advocacy. In 1996, Julian released his first solo album followed by a world tour. Throughout his career, he accumulated a discography of eight albums. Throughout his music career, Julian’s dedication to cannabis education never wavered. In 2014, Julian was able to extend his efforts from the music industry into cannabis and launched JuJu Royal. He embarked on creating a reliable marijuana brand that offers premium, lab-tested cannabis for patients and recreational enthusiasts. Learning cannabis regulation and ensuring compliance to bring high-quality marijuana to market was a challenge Julian and his team met with patience and perseverance, perfecting every aspect of their business to keep customers at the forefront. Julian and his team are all too happy to ensure the safety and quality of their product through lab testing and state compliance. 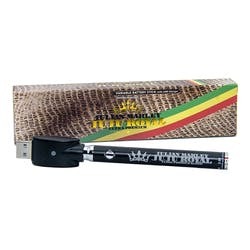 After years in development and research, Julian Marley is proud to offer JuJu Royal offering premium marijuana products to medical and recreational users alike. 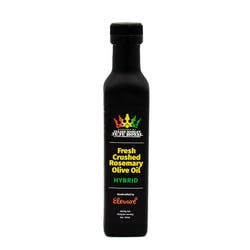 JuJu Royal is pleased to source cannabis products from boutique marijuana farms in California and Colorado. Each crop is grown in its optimal environment by master growers who distinguish which strains to grow outdoors or in a greenhouse. Indoor grows tailor the conditions to maximize the flourishing potential of their marijuana flowers. The effects and quality of cannabis are affected by the environment in which it is raised. That is why each cultivator partnered with JuJu Royal configures their grow to best nurture their flowers. Julian Marley took a hands-on approach to the creation of JuJu Royal and remains an active component today. Julian’s commitment to his brand and community are unwavering, and he is overjoyed to share the Rasta lifestyle through music and cannabis. JuJu Royal offers exclusive cannabis varieties with a menu comprised of custom strains, CBD products, and edibles. 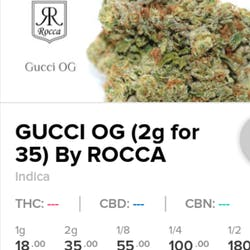 Toke on some JuJu OG and experience cerebral, clear effects with a swift onset and long-lasting high. 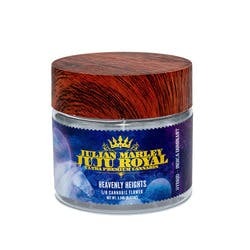 Their Heavenly Heights strain is a potent flower that delivers pain relief and relaxation, and their Lions Domain strain delivers a berry flavor profile in every puff. Jungle Cheese is a cross of Gorilla Glue X JuJu OG that elicits a powerful, fast-acting, psychedelic high. 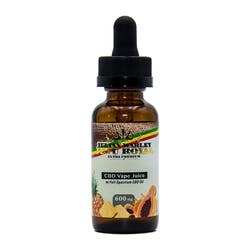 Find relief and fight inflammation with JuJu Royal’s Reggae Splash Vape Juice. 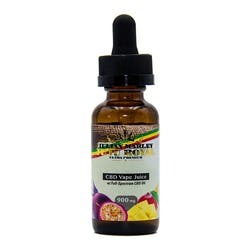 This vape juice comes in sour apple, mango, passion fruit flavors and made with an ultra-premium blend of CBD-rich cannabis oil. JuJu Royal also offers their Bubblegum Distillate Cartridge, leaving a fragrant, fruity aroma and providing euphoria and an uplifted mood. A combination of two great fruit flavors - tangerine and mango - JuJu Royal’s Tango Tabs are Sublingual CBD Tablets made from Colorado-grown CBD isolate. These tabs offer strong, fast-acting relief thanks to their large bio availability. 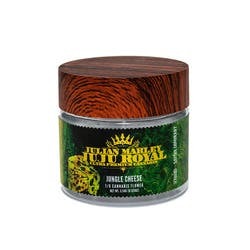 JuJu Royal is pleased to offer only lab-tested marijuana products. Each of their partners and individual growers chooses which testing facility to utilize. JuJu Royal flowers sourced from California are lab tested through CannaSafe Analytics, and Colorado flowers are analyzed through Gobi Labs. 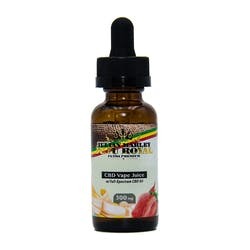 Vape cartridges receive lab testing from RM3 Labs, their Rasta Sticks are tested through AgricorLabs, and E Juice goes through Folium Bioscience. Each product receives full-spectrum testing from the laboratories listed above, to ensure purity, potency, and quality. A1 quality! I had some when I was on vacation in Palm Springs. Can’t wait til they open a location near me !! Won't go anywhere else. All products are quality products, and smooth.